Vitamins And Minerals Straight To Your Cells. Without the Wait! Ozone Therapy oxygenates the blood to restore optimum cellular oxygenation to defy ageing, boost energy, raise immunity, fight infectious diseases and calm inflammation in the body. Our superior treatment delivers oxygen directly into your blood stream. Using the latest technology ozone device, we gently extract your blood and pass it through an oxidation chamber. Here it is combined with an equal volume of ozone at high concentration before being passed back into your body. This process is known as ‘one pass’: 10 passes is the optimum number for a powerful and effective ozone therapy. Every cell in our body needs oxygen to function: without it, we would die within minutes. Our ability to think, feel and act relies on oxygen as does 90% of our body’s energy production. Ozone is a highly active and reactive form of oxygen that can restore optimum oxygen levels in the body. Ozone Therapy ensures hygienic and absolute uptake of this pure oxygen and gives the best results. 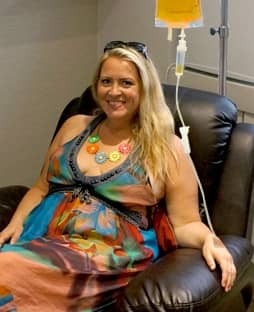 Our IV treatment can deliver the high dosage our bodies truly needs, directly to the cells. It is not possible to get enough of the nutrient goodness we require through our day to day diet but these vitamins are necessary for the optimal function of our bodies and minds. 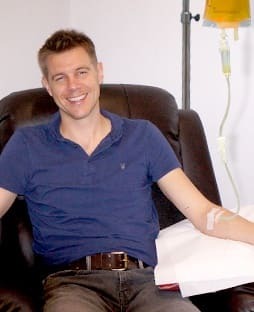 Our treatment is suitable for everyone from stressed and overworked executives, to athletes and those dedicated to operating at optimum fitness, to older patients wanting to improve nutritional absorption. 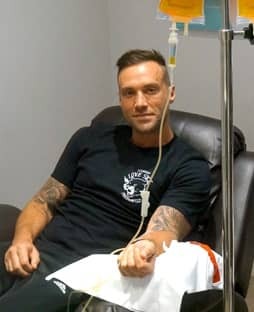 A number of patients also visit IV Boost UK in order to feel fit and well while undergoing medical treatments. Our patients report instantaneously feeling refreshed, replenished and rejuvenated as they emerge from our IV Vitamin Therapy treatment. You can order premium-strength natural health supplements from us online, delivered straight to your door that are safe to use in the comfort of your home, while still providing high levels of efficacy. The fountain of Youth in a pill. 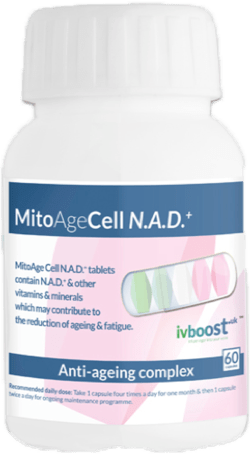 As our understanding of how the ageing process grows, we are becoming more aware of the importance of replenishing vitamins, minerals, antioxidants and coenzymes that boost our cellular health, regulate our metabolism and stabilise our hormones.